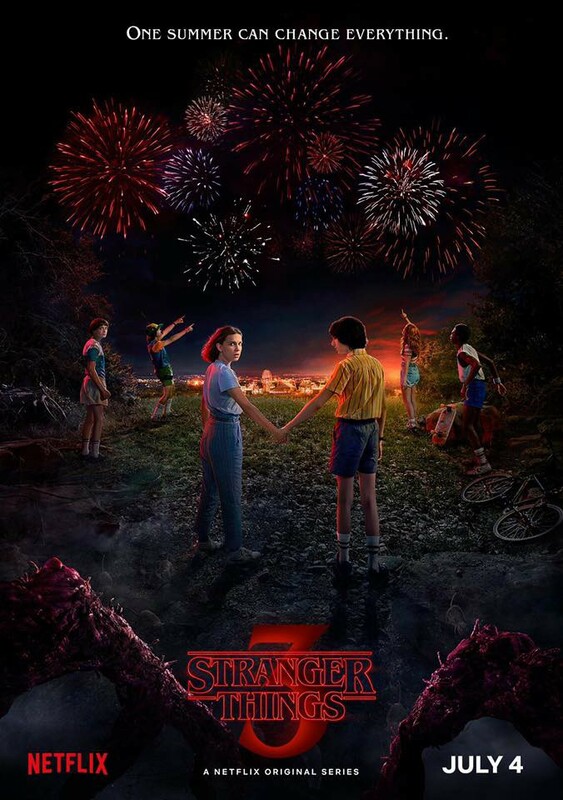 On this New Years day, Netflix released a new poster design for Season 3 of "Stranger Things," and it has fireworks! Also yesterday they released a date announcement on Youtube stating that we will all be able to binge watch "Stranger Things" on July 4th of this year! Here are the poster and the date announcement video! Well, folks, I hope you all have had happy holidays, and I wish you all a happy new year filled with excellent health, success and above all good movies!